ANDERSONVILLE — Clark Street will be awash in a candlelit glow Saturday evening when a group of young women lead the annual torch-lit procession in honor of Lucia, an Italian saint known for her generosity in feeding the poor and homeless. The St. Lucia Festival of Lights will begin at 4:45 p.m. on Dec. 13 at the Swedish American Museum at 5211 N. Clark St. The traditional Swedish event begins with an evening procession down Clark Street, which is led by a group of young women known as the "Lucia Girls," who wear long white robes and crowns with candles. Children and adults are welcome to join the singing of the "The Lucia Song." 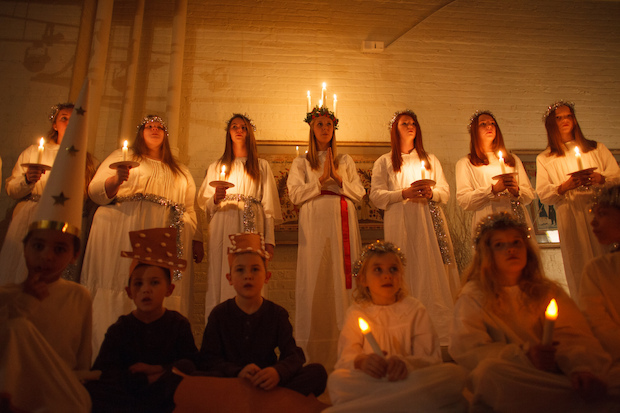 Following the procession, the celebration continues at the Swedish American Museum where there will be a special reading of the Lucia legend, live music and traditional Swedish treats. Entrance to the Lucia celebration is $1 or a can of food, which benefits Care for Real, an Edgewater food pantry.